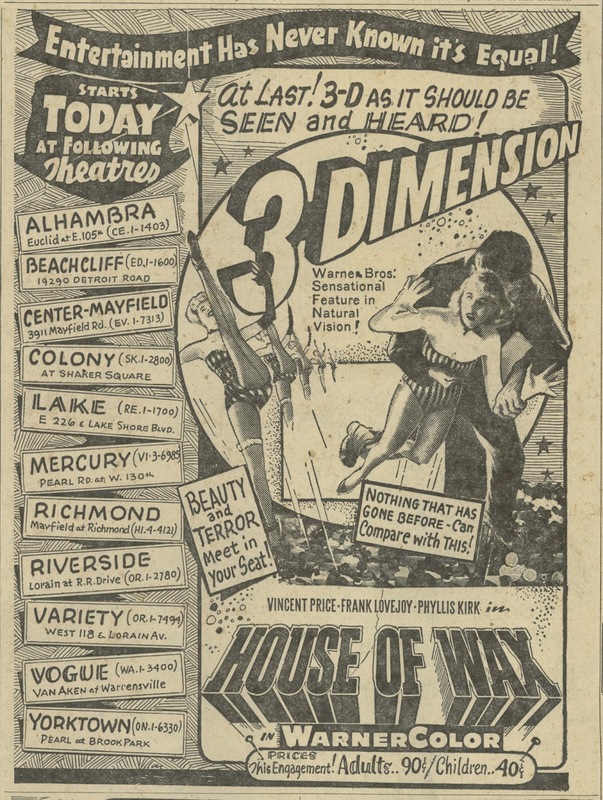 Greenbriar Picture Shows: What Struck This Time About "House Of Wax"
What Struck This Time About "House Of Wax"
But House Of Wax Was Sold On Sensation, Not Its Putative Star. Are we to imagine that the House Of Wax monster could be anyone other than Henry Jarrod/Vincent Price? I was in no way surprised, even at ten, when Phyllis Kirk broke away V's mask to reveal a mutilated face, but wonder if it came as bolt from blue to anyone watching in 1953, all of whom were lots more savvy re mystery conventions than I would ever be. For one thing, who else could it have been? For that matter, I'm wondering how much time Price actually spent in the make-up. It had to be a lengthy and uncomfortable application. Anything other than close shots could as easily be performed by doubles, and there are not that many close shots. 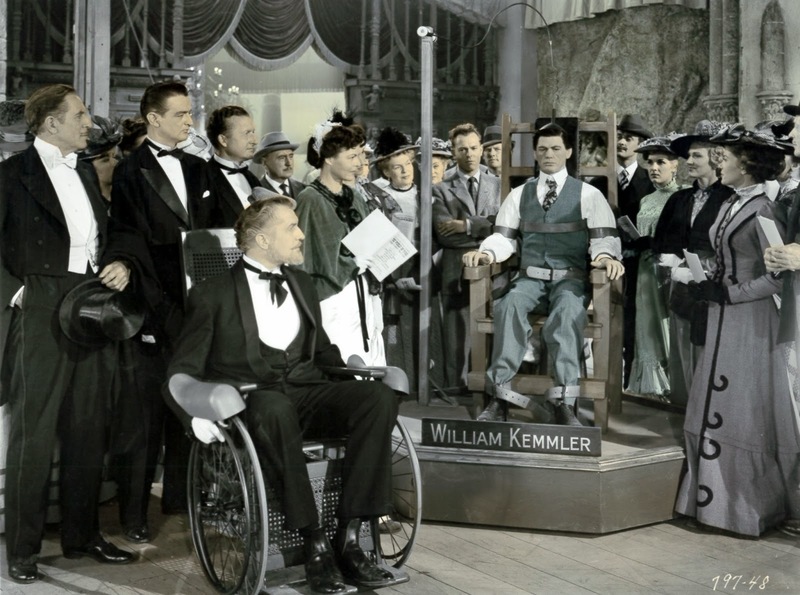 House Of Wax for Price may have been like Abbott and Costello Meet Dr. Jekyll and Mr. Hyde for Boris Karloff: monster stuff translating to days off for the stars. The House Of Wax viewing this weekend was fun time made more so by 3D newly aboard, 1953's an experience we can at last closer duplicate. What came clearer to focus was several faces of Vincent Price on exhibit, these beyond mere Henry Jarrod vis a vis the fiend his alter ego. What Price did here was introduce a new line in lead men for light-served chills, the bogeyman as knowing host who'll not take frights seriously. VP in HoW is in fact the prototype for TV station employees who'd suit up a few years later and introduce Shock Theatres coast to coast. But Price's persona was itself outgrowth of spookmeisters who trod over Bijou stages large and small since a World War that changed patron attitudes toward content once meant to scare. Now the beheadings and other stage mischief were there for laughs and jeering from balcony's distance. Even kid brother/sister was in on the joke that was spook shows. Such changed perspective may well have undone a Bela Lugosi who'd once been taken seriously as a chilling icon, but Vincent Price, younger and more knowing, was born to appreciation of irony beneath masks he'd wear. They really should have given him the Oscar for change he'd bring with House Of Wax. Price was copacetic with winks that came with the spook shows, and well past horror served stale by creakers like The Strange Door and The Black Castle, both from Universal and redolent of stuff done in the 30/40's when Karloff, Chaney, et al could at least be offered straight, even if not always consumed that way. Price really connected with a new breed of audience that preferred their goblins self-aware. Not a few old-timers seemed oblivious to horror's parade turning up clown alley (Lugosi again), and Price would be antidote to this. 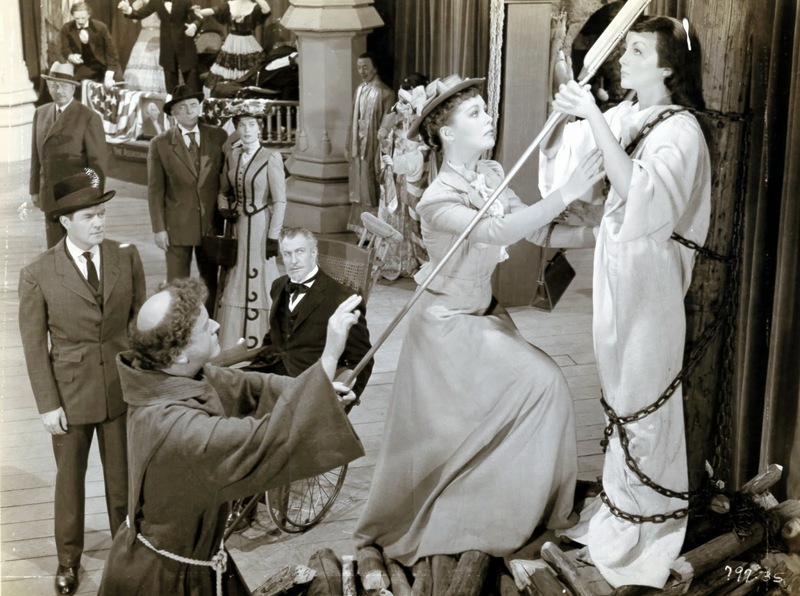 Those several faces referenced earlier included V's public and private ones, both happily on view in House Of Wax. His opener tour of the pre-fire museum for prospective investors is just what I'd imagine Price's might be for visitors to his own art-enshrined home. We know V was cultivated and articulate, a man who bespoke breeding in an industry where this was rare commodity. I'm betting Wax's initial tour was along lines that visitors experienced at chez Price, him the charming and witty guide to what's beautiful and best along byways of art. 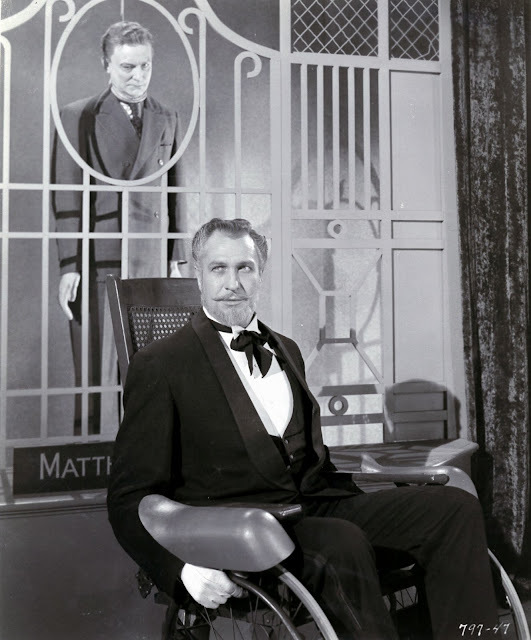 That initial House Of Wax reel was probably as close as we'd come to hanging out with the real Vincent Price. And then came his fresh face for horror, or is it horror-lite, or horredy --- where's a right term I'm looking for? Anyway --- unique, and surely there wasn't a classification for it in 1953, as Price did bring something new to the genre, something it desperately needed if the brand was to survive. We get a first glimpse when V next conducts a museum tour, this after the fire that has apparently confined him to a wheelchair. Now it is Price in mock-sinister mode, fully conscious of ironic distance his postwar audience maintains. He'll not disrespect the material outright; that would be tipping hand toward smug awareness that cursed many a post-camp go at revisionist horror. Instead, he dabs the humor lightly, as if allowing for fright amongst youngest patronage, but if you're, say, over ten, well then, we're all of us hep. I say the moment when Price's persona was truly born came when the woman faints and he hands her companions ... Smelling salts, ladies? Help yourselves ... followed by an arched eyebrow. It was inspiration, sheer performing genius that would pave way toward thrillers redefined for a generation molded, if not made more sophisticated, by spook shows, comic books, and late night Shock jesters to come. 3D was the distraction that delayed our (and an industry's) fullest appreciation for what Price introduced (very little of Wax publicity utilized his image). 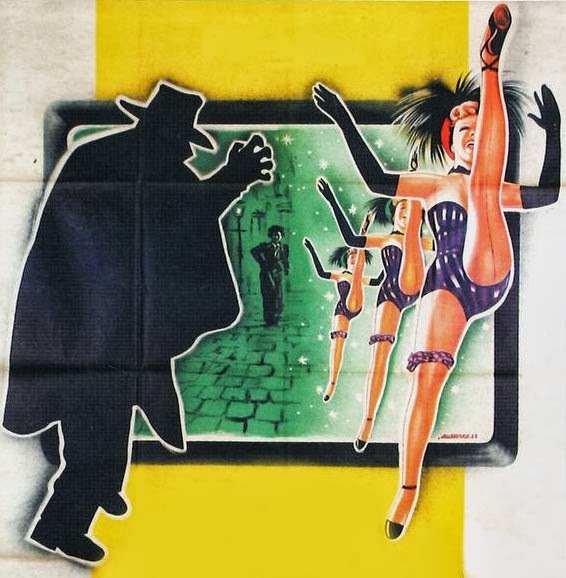 Maybe we were too busy ducking claw hammers and thrust rears of can-can girls to realize that here was Vincent Price previewing how tastes would run for chillers in a next decade. Hollywood was a long time taking full advantage. 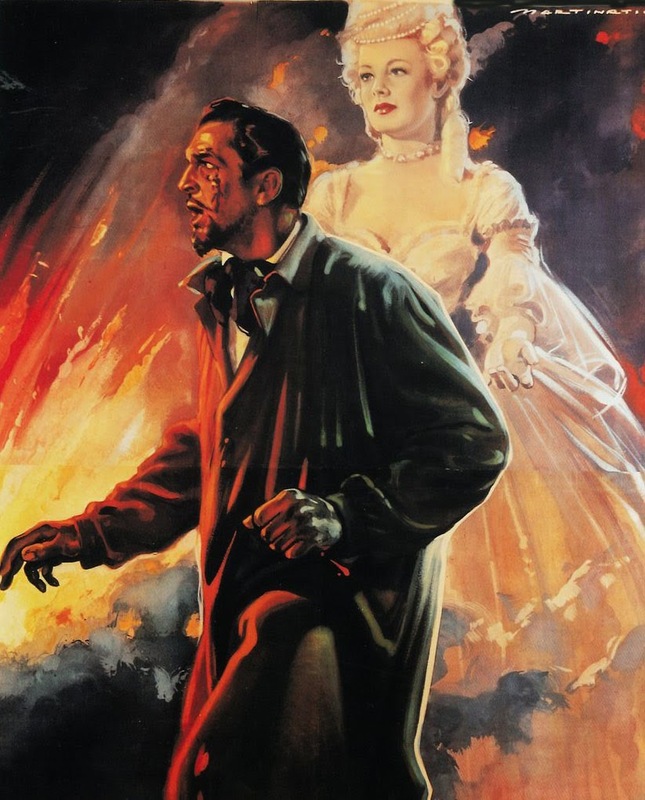 Yes, The Mad Magician came within a year, but it was 3D again and brazenly a knock-off, not half so good as House Of Wax. Price would continue at silken villainy for mainstream consumption, reaching his widest-ever audience with The Ten Commandments, it playing somewhere from 1956 into seeming eternity. His devil in otherwise execrable The Story Of Mankind was further forecast of things to come, even if diluted (Mankind not a horror movie), and though he'd join The Fly's entourage, there was nothing in Price's straight part to bestir memory of paths blazed with House Of Wax. It would take House On Haunted Hill to spin the wheel again, less spectacular though it was past Emergo's gimmick and V's singular presence (other cast members less committed). His Frederick Loren was fulfillment of Henry Jarrod's promise, at long last, considering this had been six years during which pic-makers had not perception or wit to strike again with such a hot iron. Guess Price and his fans needed a Bill Castle, and later Jim/Sam, to pave roads toward chiller immortality. It would come, and with vengeance, all through the 60's. A lot of us enjoyed House Of Wax on concurrent TV and took note that this was where it began for a favorite horror man. Having Vincent Price as repeated guide made those museum tours, even 2-D and often black-and-white, a lot more palatable. 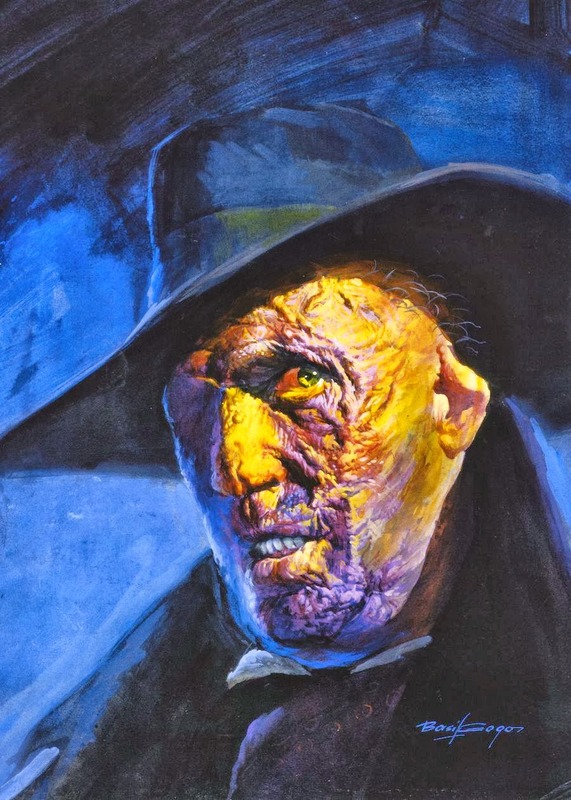 We got to appreciate better what pioneering contribution he made to House Of Wax. I recall that when I went to the big city Charlotte to see him perform on stage, he informed the audience that there would be no autographs after the show, so there was need to hang around. I was only 2 when my brother, 7 years my senior, took me to see HOW. How, indeed, did my parents let me go?! I had nightmares for 2 weeks after and remember pulling the 3D glasses off during VP's "swing into" the theater seating area. Really fine piece, I hadn't thought about how Price changed the relationship of horror to its audience, but you put it very well. Speaking of "fright amongst youngest patronage," here's a little family lore. At about age 15, my mother took two of her female cousins, ages 7 and 5 respectively, to see HOW in the Bronx when it was new. Between the 3D and the subject matter, the 7 year-old was deathly frightened, so my mother quietly explained that this was simply an actor wearing a mask. Whereupon the 5-year-old stood up and hollered: "TAKE OFF THAT MASK! YOU'RE SCARING MY SISTER!" My mother's 75 now, but the memory of embarrassment still burns bright.